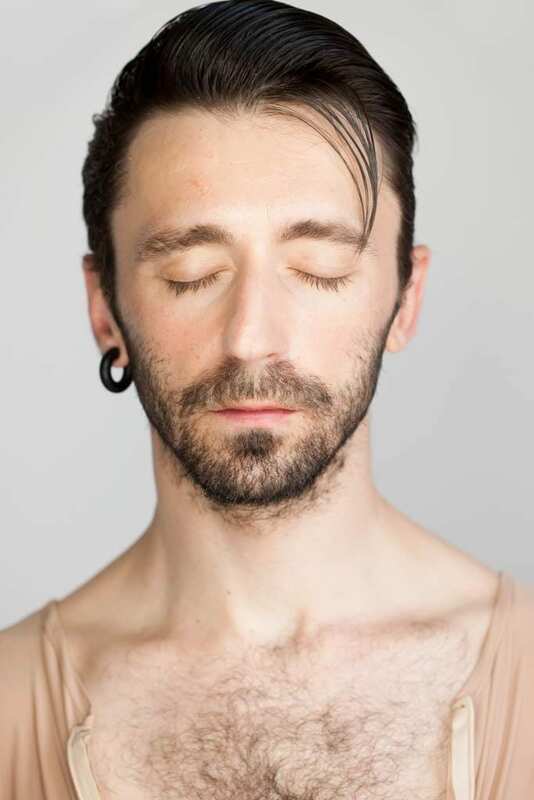 Paul Dunca is from Bucharest and he graduated choreography from the National University of Theatre and Film I.L. Caragiale, but that wasn’t enough for him. After attending post-graduate studies in dramatical writing at the same university, Paul has extended his creative area through his work, bearing a peculiar eclectic style, to include dancing, acting and now singing. His portfolio is intriguing, to say the least: he did a wafer commercial, he had his own show on MTV and he played in films such as Tales from the Golden Age by Cristian Mungiu. Paul certainly makes the Bucharest cultural life more dynamic and we talked with him about how can art influence Romanians’ perception on the LGBT community, about his implication at the Moses Rosen retirement home and other things. You can find out more by reading the interview below. I find my peace… during frantic dances face-to-face with the DJs. When I was a kid… I would often imagine I was Wynona Ryder and I won the Oscar. I rehearsed by holding between my fingers a statuette of a black Madonna. Magic is for me… the only possible salvation! Wednesday morning you’ll find me… in August at Moses Rosen retirement home. The last time I watched the sunrise… I was on my way home with Mona and Octavian and an artesian well gave us all a good scare when it started its programme. The place where I always go back happily in Bucharest… the stage of the National Dance Centre. Recently I discovered that… it’s very healthy to starve yourself responsibly. A habit that I want to get rid of is… smoking. When I’m alone… I thank my body for carrying me around with such grace. 3 artists what inspire me… Cindy Sherman, Grace Jones & Ivo Dimchev. Vlad Dumitrescu: Hello, Paul! We’re happy we have the chance to talk to you on our insider series. You’re an actor, dancer and more recently, you also sing. Each one of these occupations needs a lot of time. How do you manage to get to a balance between them? Paul Dunca: I didn’t want to have a balance between them. Most often, I dance and it isn’t always clear to me where the working hours stop and where my free time begins. I’m always switched on with everything that I know or can do. VD: The Institute of Change is a fantasy type performance about the changes in the human body and transgender people. How did the public react until now? How open is the public towards this kind of subjects? I never ask myself if the public is open towards what I’m about to debate on the stage! I know that it’s 2016 in Bucharest! The Institute of Change uses the trans theme to help the public understand how fluid the gender identity is. The performers take the spectators hostages, changing the actors-public position. The reactions of the people who participate in this radical experience are quite different, but I really wanted this convention, I wanted very much to see in Romania, in a hall of 100 seats, how many declare openly that they are heterosexual or not. At every show, I like to get a reaction and at every performance I expect anything to happen. I like this, it’s one of the wonders of the live experiences! VD: The Eurobarometer by the European Commission showed in 2015 that 54% of Romanians, unlike 23% of Europeans, don’t believe in equal rights for homosexual persons. Your performances are about the acceptance of the LGBT community. How do you think art can change people’s mentality about this subject? Paul Dunca: Romania is the last country in Europe to legalize homosexuality (in 2001). In our country, there aren’t many public people to come out and admit that they have a different sexual orientation from the majority. There isn’t any Romanian politician who has declared publicly that he belongs to the LGBTQIA community and I think this says a lot. So every time the LGBTQIA community is represented on a stage or in an artistic context, it becomes little by little less invisible. VD: At the Moses Rosen retirement home, together with other actors, directors, and dramatists, you created the community art centre Varsta 4 with the purpose to change the perception of old people. How did the project evolve in time? What are your future plans? Paul Dunca: Starting from the summer of 2009, we are here doing what we know best. We really wanted to point out that elderly people are very important and very productive for any society. I don’t think anyone of us would be here without those of us who were here before. I, personally, had many grandparents because I didn’t have the ones from my family. Currently, we’re working on another theatre show with the title “Domiciliu instabil”. The show investigates the way of living for the retirement home residents. VD: Recently, after acting and dancing, you added singing to your repertoire with the #FLUID project. In what direction do you want this project going? 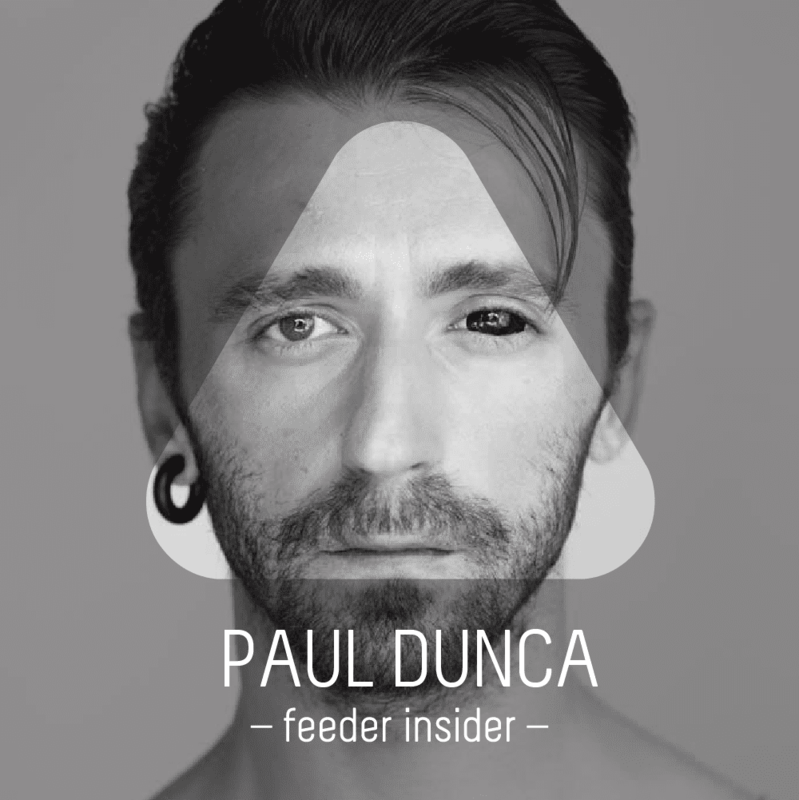 Paul Dunca: Until #FLUID, I had many encounters with music, but I never had a band. I like to say that the #FLUID live acts are not concerts, but queer acts because this name leaves the door open a lot more! I was lucky enough to work with the talented and charming Alex Bălă who believed passionately in my scenic potential. I didn’t have any plans for future directions and I was embracing tenderly every opportunity. I know that this month we’ll be playing at a wedding and in a psychiatry hospital. I personally discovered with this project an instrument that moves me differently from anything else – my voice. VD: Your portfolio is vast and unpredictable including a commercial for wafers, your own MTV show, roles in films like Tales from the Golden Age by Cristian Mungiu and contemporary dance performances. Can we expect to see you in other domains in the future? What made you choose these ones? Paul Dunca: In my standard biography it was written that I tried to never say NO and that I am happy anytime I can make myself useful. In the meantime, I learned to say NO and to choose between different ways to make myself useful. I have many other domains to explore and this excites me. Also, I usually like to break the expectations. I like to think of myself not as an artist but as a maker. I don’t think I chose that much until now, but things took off on their own depending on what I had to offer. VD: On 20 August we’ll listen to a #FLUID performance in front of Capitol Cinema / Summer Theatre enabled by the awareness campaign towards the national patrimony organised by Save or Cancel. What have you prepared for us? How do you see this campaign? Paul Dunca: I’m preparing with Alex Bălă a musical itinerary about the story of the location of Capitol Summer Theatre. I will use a microphone and the convention of storytelling. I think this campaign is necessary for people to be aware of the value of this space. The loss of spaces is one of the real problems of the artistic community right no. VD: In your speech at Creative Mornings you were saying for that a lot of people it’s hard to get rid of shyness when it comes to dancing and you suggest that people should try not to take themselves so seriously at the beginning so that they can unwind after. Do you have other suggestions for getting rid of the initial inhibition when it comes to dancing? Close your eyes and let your body be free! You have to know that dancing is one of the simplest actions and when we do it, we go through a neurological transformation. I, personally, think the best when I’m dancing. VD: București is running to be European Capital of Culture in 2021. How do you see the cultural life nowadays in Bucharest? Do you think the city is ready for this title? Paul Dunca: I was talking with a friend about this and she was telling me that surely Cluj will win it, not Bucharest. I haven’t placed my bet yet, but I will do a tarot reading about this. There are a lot of things that are missing in the cultural life of Bucharest, but right now I wouldn’t move away from here for anything!